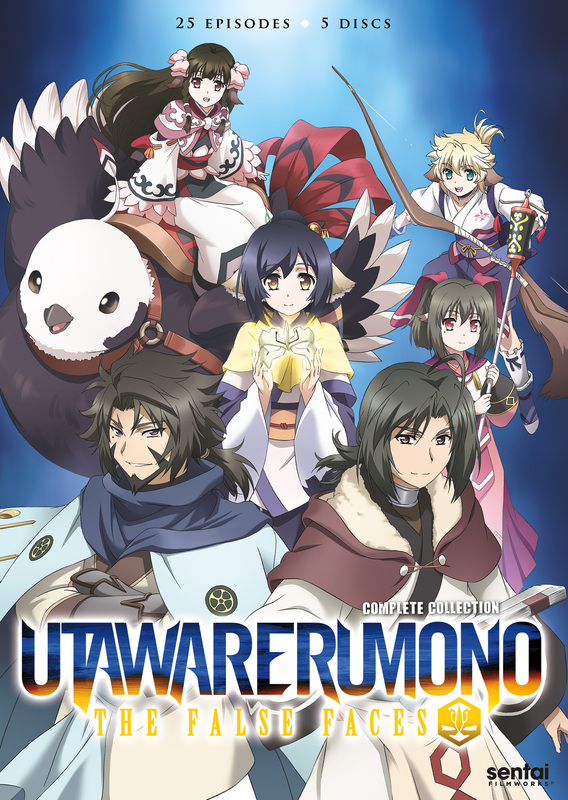 Utawarerumono: The False Faces complete collection contains episodes 1-25. Where is he? More importantly, who is he? Awakening in a frozen wasteland, his first memories are of danger as he is instantly attacked by a giant creature. Kuon, the cat-like girl who rescues him, doesn't know who he is either, but she gives him the name Haku in honor of another mysterious stranger who came to this world. Now, Haku must quickly learn how to survive in a land where monstrous beasts prowl, and where half-human beings rule in a city riddled with intrigue and secrets. With armies to aid, Princesses to guard, and a whole new future to explore, Haku and Kuon will face truth after shocking truth! The good news for newcomers is that this provides all the truly needed information itself, so watching the first series isn't required, only recommended. But fans of the first series should note that this, while a sequel to the first, is a largely standalone story with a different style and tone. References to the first series are more the exception rather than the rule. Even more notably, this has a much more deliberate pacing, with no wars and few battles until the second half, and most of the plot in the last third. This leaves it much more character driven, and I think it's a bit let down here by a weaker main cast. But it still has its share of fun, and most fans of the original will get at least some of what they want. Be forewarned, however, that this adapts only the first part of a 2-part story, leaving things terribly unresolved. As of writing this, there's no indication that the second part will be adapted.